If it's true that wisdom comes with age, 1990s rap star Coolio, who turns 50 years old Thursday, deserves some credit. Though he still wears his trademark braids and has had his fair share of run ins with the law, he has shown a major sign of maturity with regards to his feelings about Weird Al Yanovic's parody of his staple song "Gangsta's Paradise" that also appeared on the Dangerous Minds soundtrack. In a 2011 interview at the Institute Of Production & Recording, the Grammy award winning artist said being upset about Weird Al's 1996 spoof "Amish Paradise" was one of his worst career decisions. 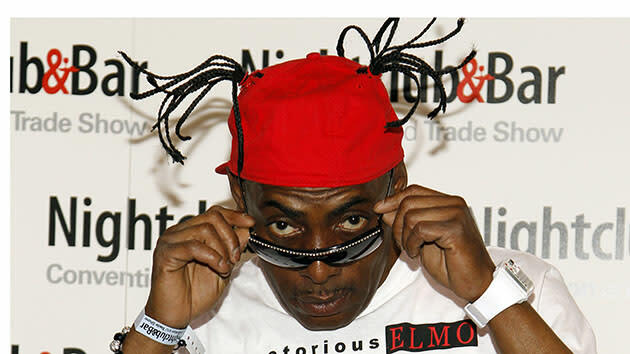 Coolio said when Weird Al initially requested to remake the song, he said, "No," but later realized that, due to the fair use copyright laws, he could not stop the production. Coolio later reconsidered Weird Al's proposal. "I sat down, and I really thought it out," he told the students at IPR. "I was like, 'Wait a minute.' I was like, 'Coolio, who the f—k do you think you are? He did Michael Jackson. Michael Jackson didn't get mad.'" Coolio acknowledged that his ego got in the way. "I was being too magnificent and too terrific about myself and that's not what you want to do," he said. For "Amish Paradise," Weird Al made fun of Coolio, styling his hair with cornrowed brains that pointed upward and setting the video in an Amish community. The parody featured on his Bad Hair Day album reached No. 53 on Billboard's Hot 100 chart. Coolio later made amends with Weird Al. "I've since apologized to him," he said. "Again, that was so stupid. … That was a stupid thing for me to do. That was one of the dumbest things I did in my career." The artist who recorded parodies of Michael Jackson's "Beat It," Lady Gaga's "Born This Way," and MC Hammer's "U Can't Touch This," didn't hold a grudge. According to Coolio, Weird Al invited him to appear in his 2006 3-D film, Al's Brain. But, unfortunately, Coolio turned down the offer. "Basically, I would of did it," he said, "But, you know, the zeros wasn't right."